The Toyota Tundra is a rugged, full-size pickup truck that can tackle just about anything you throw at it. Whether used for traveling to work, off-roading, or lugging things around, it handles the job with ease. This truck is extremely capable and tough, which is why so many people depend on it. If you are in the market for a full-size truck with major attitude, make sure the Tundra is on your radar. The Toyota Tundra is a well-known American pickup truck that busts down the doors of 2018 with its large grille. Packed with safety and technology features, as well as off-road capability, drivers and passengers will have fun both inside and out of the Tundra. The Tundra is offered in several trim choices which include the base SR, SR5, Limited, Platinum, and a 1794 Edition. The base trim includes 18-inch steel wheels, a 6.1-inch interface, and numerous safety features such as lane departure warning, a rearview camera, adaptive cruise control, and forward collision warning. The SR5 adds foglights and a 7-inch touchscreen, while the Limited upgrades to 20-inch alloy wheels and additional speakers. The top trim, the Platinum, includes even more luxury features such as a sunroof and heated and ventilated seats. The special 1794 Edition changes a few interior and exterior styling elements. For the SR5, Limited, and 1794 trims, a TRD Off-Road package is available which adds LED headlights, off-road tires, tow hooks, 18-inch TRD wheels, and skid plates. Whether you’re searching for a family truck, a truck to haul cargo, or an off-road truck, the Tundra is here to suit your needs! The Tundra pickup truck was introduced in 1999 as a 2000 model. Initially, the prototypes and show trucks were called T150s but with the name being too close to the F-150, it was changed to Tundra. Although larger than the older T100, the Tundra shared the same engine, a 3.4-liter V6 with 190 horsepower and 220 pound-feet of torque. This remained the base engine until the 4.7-liter V8 with 245 horsepower and 315 pound-feet of torque was added. In 2002, the grille was updated and a Stepside bed became available on Access Cab models. By 2004, the Tundra Double Cab was added to the lineup, featuring a bed almost 5 inches longer than competitors in the same class. A new 4.7-liter V8 engine was introduced in 2005, while the existing 4.7-liter V8 was updated. In addition, the 5-speed manual transmission was replaced. The second-generation Tundra was introduced in 2007 at the Chicago Auto Show, and it remains in use today. Not only was this truck larger, it brought the towing capacity up to 10,000 pounds and the payload capacity of more than 2,000 pounds. The more powerful 5.7-liter 3UR-FE V8 engine was paired to a new 6-speed automatic transmission. This second-generation Tundra was made to benefit people working in construction with a deck rail system, head restraints that fit hardhats, extra-large door handles, and an integrated tow hitch. It came with standard features like Vehicle Stability Control, brake assist, traction control, tailgate assist, and more. Buyers could also opt for a 26.4-gallon fuel tank, Bluetooth, 22-inch alloy wheels, and backup camera, among other things. For the 2009 model year, an off-road-themed option package became available. Known as the TRD Rock Warrior, this package was only offered on the four-wheel-drive Tundra with the Double Cab or CrewMax cab. In 2010, several visual updates were made, which included the taillights and grille; safety features were enhanced, and the Platinum package was added with plenty of high-end features. For the 2014 rollout, the Toyota Tundra was refreshed inside and outside. On the exterior, changes were made to the grille, front and back fenders, taillights, and tailgate. For the interior, the Tundra was completely upgraded. In 2015, the TRD Pro was introduced as a more robust off-road package and the 4-liter V6 engine was discontinued. The 2016 model year included black leather with contrasting red stitching coupled with the logo on the Tundra TRD Pro. A 38-gallon fuel tank was added, as well as a standard integrated Trailer Brake Controller. Again, changes were made to the color palette. The 2017 Toyota Tundra is the result of multiple upgrades and innovations, and it is loaded with safety features and technologies. Because of the fact that this was the first full-size pickup truck to earn the IIHS Top Safety Pick, you can feel confident when purchasing a 2017 Tundra. 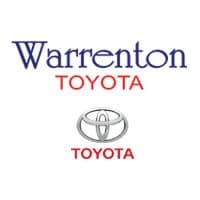 To learn more about the Toyota Tundra or to view a large selection of new and certified pre-owned pickups, please visit Warrenton Toyota in Warrenton, Virginia. We guarantee outstanding service, expert assistance, and a positive car-buying experience. We can help with financing and ongoing vehicle care in our service department. Call us or stop by for a test drive today.